This was a Transpersonal Study that spanned over a period of ten years exploring the ‘Healing Power of Nature.’ The book ‘Odyssey of Healer’ captures her spiritual pilgrimage and the experiences of other healers she has interacted with, during her many travels. Her deep passion for natural ways of healing and honouring the practices of Indigenous People around the World have propelled her to be a Voice to the Voiceless. As a vessel to liberally share her spiritual insight with others in their pursuit to unravel the mystery about Mother Nature as the Giver of Life, the Nurturer and Healer. She has been hosted nationally and internationally by various Radio and Television Stations. Our guest author this morning describes herself as a Healer, Mystic, and an Ordained Minister in All Faiths Church of Spirituality and Health. Dr Mmatheo Motsisi’s gift of healing has taken her to all four corners of the world in her quest to interact and learn from other healers globally. She has now documented her spiritual journey and life experiences in a book that she released early last year titled an Odyssey of a Healer. 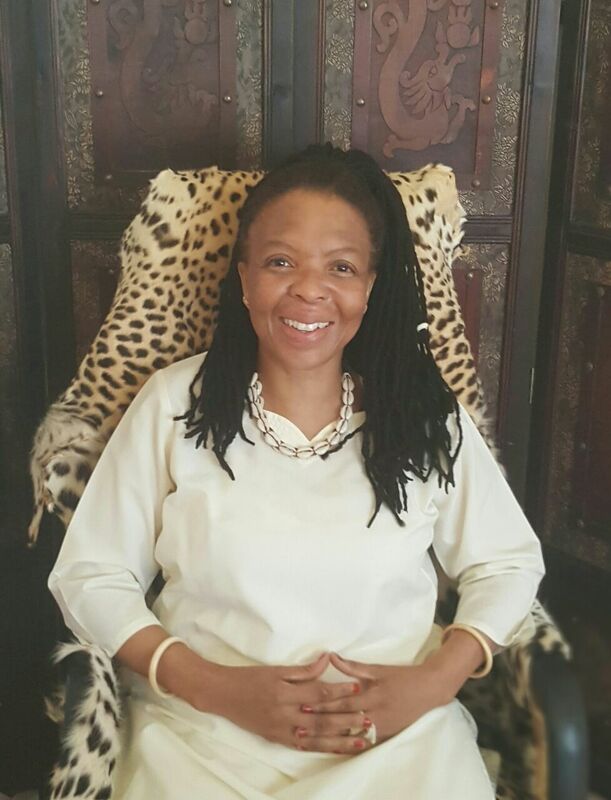 Dr Mmatheo Motsisi brings her wealth of knowledge and experience of Indigenous Healing Practices, Acupuncture, Chinese Herbal Medicine, Physiotherapy, Colon Hydrotherapy, Integrative Healthcare and Spiritual Healing. She has developed a sympathetic understanding of the health and spiritual needs of those entrusted under her care. She runs her Holistic Practice located in Orange Grove, Johannesburg, South Africa. Over 22 years on Physiotherapy Practice, with special interest on Orthopaedic; Sports Injuries, and Neurology. She holds a Post- graduation certificate in Orthopaedic Manipulative Therapy. She has been a Medicolegal Consultant in the field of Physiotherapy for over a period of 7 years. Her practice includes clinical and rehabilitative physiotherapy. In her role as a Medico-legal Consultant, she conducts comprehensive assessments that are followed by accurately written concise medico-legal reports on behalf of claimants. Completed Postgrad studies on the Foundations of Medicolegal Practice with the University of Cape Town in collaboration with South African Medicolegal Association (SAMLA). She is a member of South African Medicolegal Association. She is a registered Practitioner in Chinese Medicine & Acupuncture with Allied Health Professions Council of South Africa. In 2004 she attended International Congress on Traditional Medicine in Beijing. Subsequently, this was followed by an invitation to study further at China Academy of Traditional Chinese Medicine and Acupuncture. She completed her clinical at Guan An Men Hospital under the guidance of the senior clinicians. She obtained a Diploma in Colon Hydrotherapy from the Colon Care School of Colon Hydrotherapy approved by GPACT & RICTAT. The mission of Healing Power of Nature is to provide you with the best Holistic Therapy to address your personal need both at physical and spiritual level. Every patient is unique, therefore based on a comprehensive assessment that includes the clinical findings an individualized treatment program is designed for each patient. There are different modalities employed in our Practice namely: Acupuncture, Traditional Chinese Medicine, Physiotherapy and Spiritual Healing. Your optimum health is our goal. We appreciate your decision to receive therapy from our Practice. It is our commitment to serve you and ensure your needs are addressed holistically. The treatments are provided in a private room with regulated environmental conditions to fit your individual needs. Therapeutic music and lighting encourage a stress-free session and enhance your experience. Our professional and courteous staff work to make your appointments convenient, protect your confidentiality and answer the relevant questions. Need More Advice on Our Treatments?